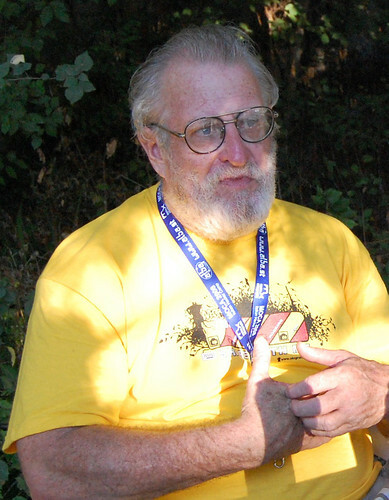 At the MOCA2008 “hacker camp” in Italy I had the pleasure to meet and speak with John T. Draper. Draper is better known as Captain Crunch a man whose work and life are deeply intertwined with the history of hacking, phreaking and the personal computer industry. Here’s the transcription of the short chat we had, which verged mostly on his interactions with Apple, Steve Wozniak and Steve Jobs and also his use of Macs. Stories of Apple: What’s the story behind you doing the Apple II phone board? John Draper: Let’s start talking a bit about how I met Steve Wozniak. […] He contacted me when I was a DJ at KKUP radio. He asked whether or not I could come down and see his bluebox. He wanted me to show him how to use it. I was very suspicious of him. It was at a time during which there was a lot of busts going on and I thought this might have been a setup. So I made my arrangements to go see him without having anything on me and illegal things not being there. When I saw him he showed me the bluebox: I was not impressed. The problem with this bluebox was that it had a square wave instead of a sine wave: the tones are not pure, They sound crappy and anybody using one of those Woz’s blueboxes would often drop a trouble card in the switch because the switch wouldn’t recognize tones and wouldn’t accept them.